U.S. Coast Guard crews are searching for a missing 21-year-old cruise ship passenger across some 320 square miles of the Atlantic Ocean Monday, authorities said. 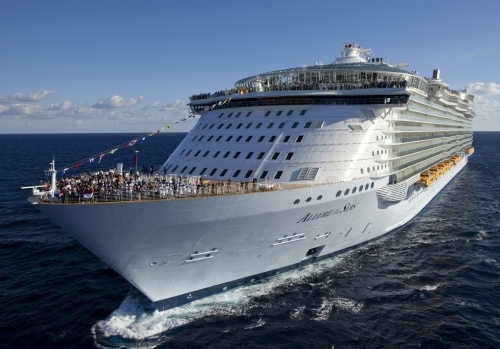 The woman, from Bartlett, Tennessee, reportedly fell overboard from Royal Caribbean’s Allure of the Seas on Sunday night around 9:30. The area being searched is 47 miles east of Fort Lauderdale, the Coast Guard said. Royal Caribbean officials stated that crew members searched the ship for the woman but did not find her. According to the company, two other cruise ships that were nearby at the time, Majesty of the Seas and Carnival Fascination, assisted Allure of the Seas’ crew in the search. Today, Allure of the Seas spent the day at sea and skipped it’s scheduled stop in Nassau, Bahamas, to continue the search effort. Stay tuned for more updates from © www.expertcruiser.com – Your online consumer guide for cruise travel and information.